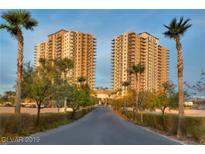 Find Highrise Condominiums, NV New Homes for sale. View Photos, Maps and MLS Data Now! One Las Vegas - First class 24-hour amenities at your fingertips, 2 story fitness, resort style pool, business center, much more! MLS#2088965. Northcap Commercial. One Las Vegas - First class 24 hour amenities at your fingertips, 2 story fitness, resort style pool, business center, much more! MLS#2088967. Northcap Commercial. Juhl - Steps to Arts District, Smith Cntr, LV Academy of Arts & more. MLS#2088987. Northcap Commercial. One Las Vegas - Enormous owner's suite with adjoining balcony. MLS#2085794. Northcap Commercial. Turnberry Place - Newly Renovated Sterling Club Opening Soon with Restaurant and Nightly Entertainment!! Guard gated community. MLS#2081522. LUXE Estates & Lifestyles LLC. One Las Vegas - First class 24-hour amenities at your fingertips, 2 story fitness, resort style pool, business center, much more! MLS#2079774. Northcap Commercial. Juhl - Grd lvl shops & eateries, short walk to nightlife, public transport. MLS#2079788. Northcap Commercial. Juhl - One of a kind model home. MLS#2075795. Northcap Commercial. Steps to the Art District, Smith Cntr, LV Academy of Arts & more. Ground level shops & eateries. MLS#2077329. Northcap Commercial. 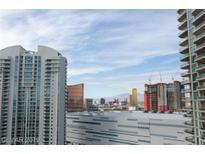 One Las Vegas - Enormous owner's suite with adjoining balcony. MLS#2077314. Northcap Commercial. Make Juhl your home and see all that downtown living can be. MLS#2077322. Northcap Commercial. Steps to the Art District, Smith Cntr, LV Academy of Arts and more. Grd lvl shops & eateries. MLS#2076043. Northcap Commercial. Steps to the Art District, Smith Cntr, LV Academy of Arts & more. Grd level restaurnts, retail. MLS#2076013. Northcap Commercial. Juhl - Steps to the Art District, Smith Cntr, LV Academy of Arts & more. MLS#2076000. Northcap Commercial. Grd lvl shops & eateries, short walk to nightlife, public transport. MLS#2075067. Northcap Commercial. 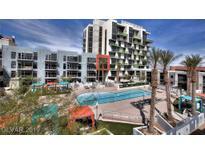 Sky Las Vegas - Unit is currently occupied by a tenant. Lease expiration is May 2019. MLS#2074614. Char Luxury Real Estate. Sky Las Vegas - Tenant occupied until May 21, 2019. MLS#2074601. Char Luxury Real Estate. Sky Las Vegas - Huge balcony sitting atop of Las Vegas Blvd. Unit is currently tenant occupied. MLS#2074627. Char Luxury Real Estate.